Mar. 23, 2017—Terry McHollin checks the coffee cups along with the trash cans in patients’ rooms. Serving coffee isn’t part of her job description as an environmental service tech, but if someone needs a fresh pour she will stop what she’s doing, wash her hands then head for the coffee pot — and still stay on schedule. Mar. 23, 2017—Several investigators in Vanderbilt-Ingram Cancer Center’s (VICC) Breast Cancer Program have received grant awards to support translational research that may improve disease outcomes for patients. Mar.  23, 2017—Unauthorized use of Vanderbilt University Medical Center’s (VUMC) clinical databases — Epic, Medipac or Star Panel — to check on the health status of fellow employees or to peer into the medical records of other individuals not under their care, can result in progressive discipline. Mar. 23, 2017—Rene Raphemot, Ph.D., a National Institutes of Health postdoctoral fellow at Duke University, delivered the inaugural Discovery Science Emerging Scholars Lecture at Vanderbilt University School of Medicine last week. Mar. 23, 2017—Melissa Kaufman, M.D., Ph.D., associate professor of Urologic Surgery, received the 2017 Zimskind Award at the Society of Urodynamics, Female Pelvic Medicine, and Urogenital Reconstruction (SUFU) Winter Meeting in Scottsdale, Arizona. Mar. 23, 2017—inseparable study buddies and then best friends. They started dating at the end of the first year and got married in June 2016. On March 17, the couple stood side by side as they opened their Match Day envelopes that revealed the locations of their residencies…and their future. Mar. 23, 2017—When Carol Ann Gavin was transferred to Vanderbilt University Medical Center (VUMC) in 2010 after being gravely ill for weeks, one of the first people she met was critical care surgeon Richard Miller, M.D. She immediately trusted Miller’s assurance that he would get her well. He delivered on his promise. Mar. 23, 2017—Thirteen volunteer leaders have been named over the past year to fill vacant positions on three Vanderbilt University Medical Center (VUMC) advisory boards and councils.